What professional golfers are saying about the Benderstik golf swing training aid. Golfers from all over are lowering their score and improving their swing. The key is instant feedback provided by the Benderstik. This simple golf swing training aid will help you hit the ball further and straighter. See what people are saying about this revolutionary training system. 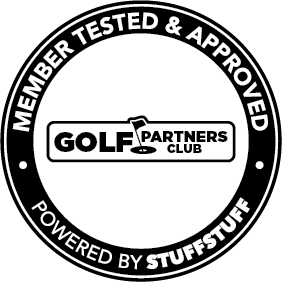 "I highly RECOMMEND this product because it can be used several different ways to help an average person improve their golf game. It’s very easy to use and the video does a great job of explaining how and why this product will help your golf swing." "It provides instant feedback to see if you are on the correct swing plane." "The BenderStik gives you instant feedback on your golf swing. It is also very versatile and can be used to help correct multiple golf swing problems"
"While it's look is intimidating it does help you to control your swing thereby controlling your drive hook and or slice. This is a great help in learning how to control swing, which is one of the main issues with golf, control control control." "This product has been a great help in improving my swing." "I was able to fix my slice in one trip to the driving range. It would be nice to have two of these."